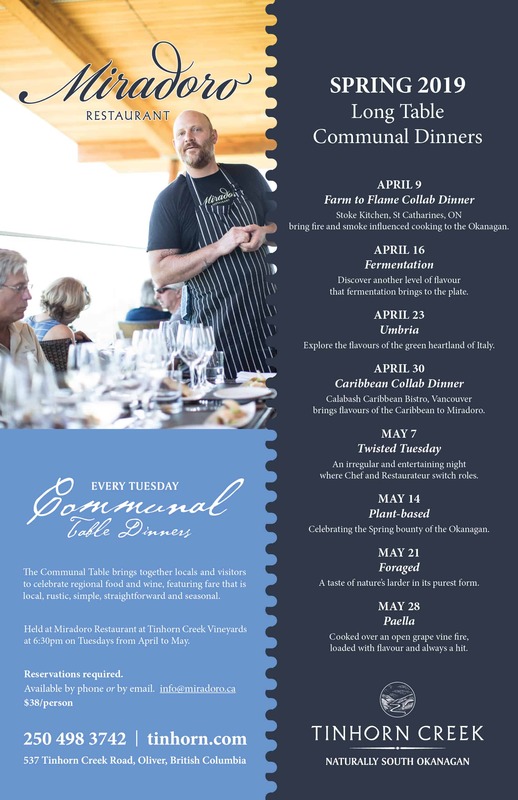 The Communal Table brings together locals and visitors to celebrate regional food and wine, featuring fare that is local, rustic, simple, straightforward and seasonal. Held at Miradoro Restaurant at Tinhorn Creek Vineyards at 6:30 pm on Tuesdays from April to May and Oct to Dec. Reservations required and available by phone or by email. 3 courses only $38 per person.